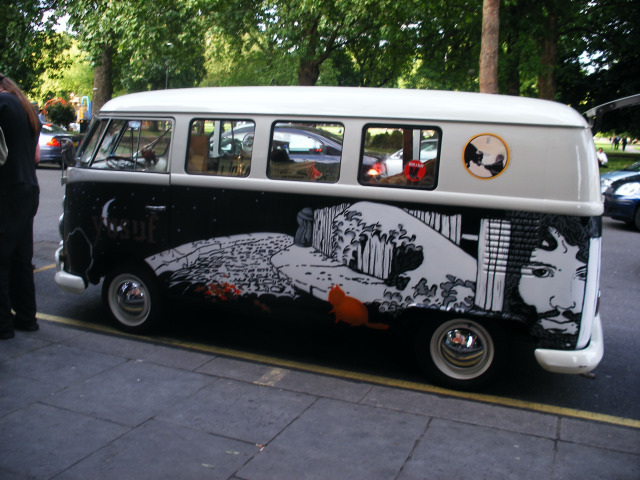 Now that's travelling in style. Funny thing happened in Shepherds Bush last night. A bunch of otherwise normal looking, averagely-40 something year-olds became embarrassingly emotional. En masse. It was billed as a concert but was more like an audio-group-hug. For last night saw the return of Cat Stevens, Yusuf, to the London music circuit. He’s back folks, and if anything better than ever. 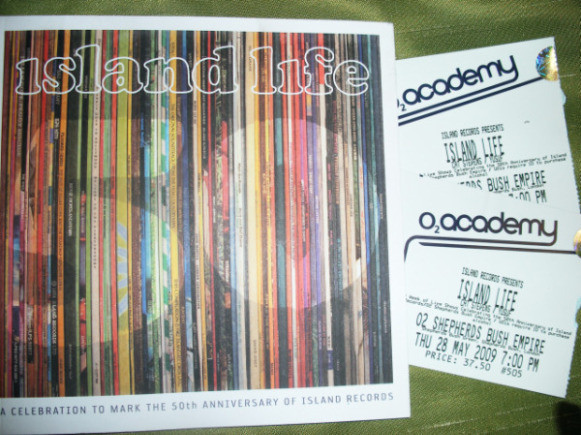 The gig was part of Island Records’ 50th birthday party, which comprises a week of pretty impressive line-ups (although we can only keep our fingers crossed that Amy comes through for them on Sunday night). The evening kicked off with what we took for a regulation warm-up band - Noxshi - playing, well, “music designed to be infectious on the level of the subliminal harmonic brainframe”. Quite. Good stuff actually, but a bit grungey for us. Turns out that lead singer Yoriyos is actually Yusuf Junior. Yup, it was a family evening. Next up was the inimitable Baaba Maal. Songs of sunshine and faraway places. Party time. Bongos, and dancing - and that was just the audience. He has a new album (Television) coming out, and to celebrate he did his encore with a few *surprise guests* - U2, no less. Just love it when you get more for your money at a concert rather than less. 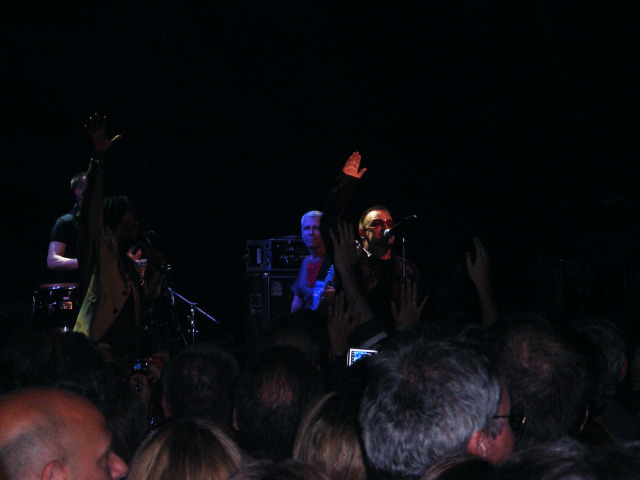 Bono paid tribute to Maal’s work for charity in Africa, and they went on to bring the house down with a cover of Bob Marley’s One Love. Rather than buy a cheesey mix of re-hashed Summer oldies this year, do yourself a favour and grab a copy of Maal’s album - it’ll stir you in ways that you didn’t know existed. Time for the main event, humbly introduced by Bono. 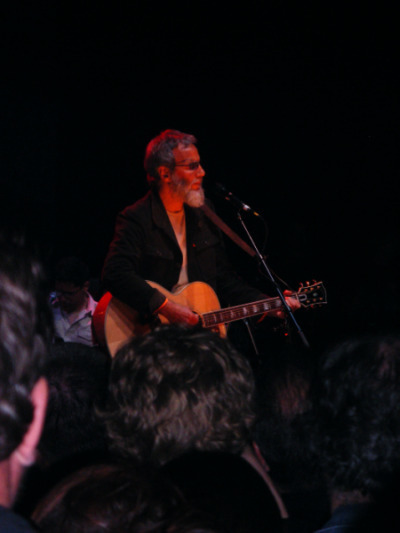 Yusuf Islam had but to walk on stage to cause uproar: the first UK concert of a man who had practically vanished from the public eye for 30 years was never going to be anything other than a sensation. He performed songs from his new album, Roadsinger, and chatted unselfconsciously with the crowd about his journey over the last decades: we were left in little doubt that he felt that he had come home again. And he graciously turned out old favourites from what he called ‘that other thing that I did’ - his first career: Father and Son, Wild World (which was sweetly dedicated to his grand-daughters, who were in the audience) and Peace Train. The man is a living legend (he even referred to the Odyssey himself, although in quite a different context), and London’s muserati had turned out to see him. Londonist felt very very privileged to be there and to witness a little bit of musical history in the making. Londonist was far too excited to take photos, and so thanks to Jamie for obliging.